With the holidays around the corner, who wouldn’t love more gift cards? With the success of my first giveaway hop last month, I have decided to once again offer the winner their choice of book (up to $10) from The Book Depository OR $10 for Amazon.com! Once again this giveaway is open to anyone who resides where The Book Depository ships. So please check their site before entering. 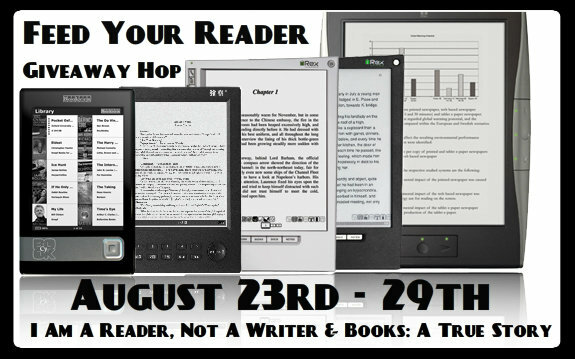 Thanks to I Am A Reader, Not A Writer and Attack Of The Bookfor hosting this event! All you have to do is fill out the simple Rafflecopter form (make sure you follow the directions for each entry) and you’re all set. 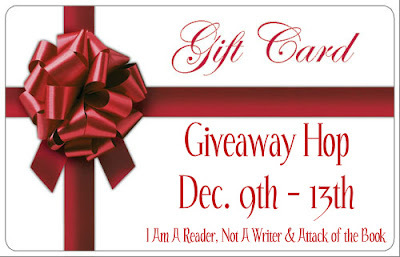 I will email and post the winner on my blog. The winner will have 48 hours from the time my email goes out to contact me or another winner will be chosen. Don’t forget to check out the other awesome blogs participating! Winner Announced!! November Giveaway Hop! 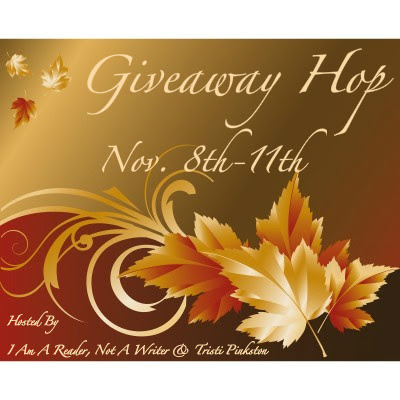 I have decided to participate in my very first giveaway blog hop co-hosted by I Am A Reader, Not A Writer and Tristi Pinkston. Since this is only my second giveaway and I said last time that I would make sure it was open internationally, I will be giving away to one lucky winner their choice of a book (up to $10) from The Book Depository. So as long as they ship to you, then you can enter! All you need to do is fill out the following Rafflecopter form (make sure you follow the directions for each entry) and you are entered! I will email and post the winner on my blog. The winner will have 48 hours from the time my email goes out to contact me or another winner will be chosen. Don’t forget to check out the other awesome blogs participating!